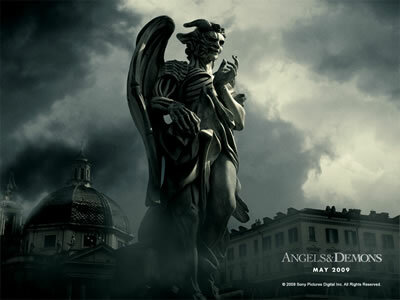 Producers of Amazing Race should watch Angels and Demons and take notes. Forget the factual errors. People, this is a work of fiction, despite the author’s claims of facts. Ignore that claim, so that at least you could enjoy this movie. See, strip yourself of these assumptions, and the movie’s kinda entertaining. Besides, most of the people who had read the book claimed that the movie is better. The basics: Harvard professor Robert Langdon was summoned to the Vatican to solve a mystery. The Illuminati sows terror on the Vatican by kidnapping 4 cardinals and planting a bomb that could decimate the entire city of Rome. Then an Amazing Race of sorts revealed that the enemy is within. The first hour or so was rather tedious and tiring, and the Amazing Race section was a bit fun to watch (because they were always too late). The movie will keep you guessing who the antagonist is – unless you have read the book, that is. But if you had read the book, there were changes made that will surprise you. The scenes were marvelous though most of them were shot on soundstages, but they were almost real! It was as if you were down in the grottos when they opened the tomb of the deceased Pope. I had seen pictures of this section of the Vatican, and the scene looked as if they were indeed below St. Peter’s Basilica. Overall, this is a good movie to see, as it is entertaining enough. Just sit back and enjoy, stop “intellectualizing” while watching the movie. Looking for errors would only spoil the fun. Speaking of errors, there are loads of pages on the internet regarding errors of this movie/novel. I’d like to point out two issues. The first one was the appointment of a mere priest as the camerlengo. This position has always been assigned to a cardinal, true. But a Pope can always change this, as much as Gregory VII dissolved the office of Archdeacon (predecessor to the current office of the camerlengo). Next, which was not pointed out yet (as of this writing, or maybe I haven’t scrounged them all): the scene where they opened the deceased Pope’s tomb. In the current practice, the body is encased in three coffins. The first is made of cypress, the second, of lead, and the third coffin, made of elm. In the movie, it was obvious that only one coffin was used. (As a note, the disfigured face shown was similar to what had happened to Pius XII). This entry was posted in Life and tagged movie, movie review. Bookmark the permalink.